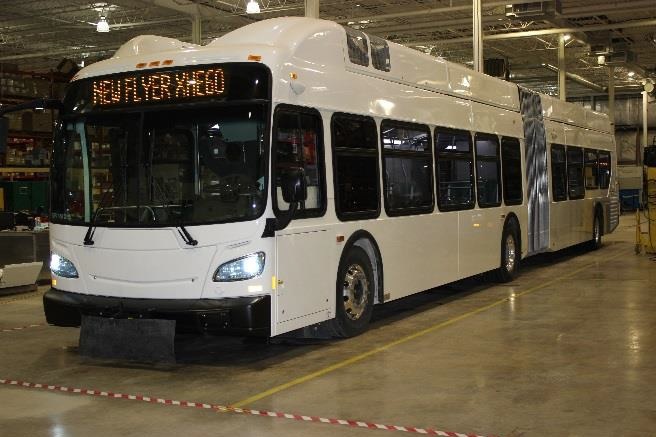 New Flyer has ordered high-pressure hydrogen tanks from Hexagon Composites to be used on 25 of its groundbreaking Xcelsior® hydrogen fuel cell transit buses. The tanks have been already delivered and the hydrogen-powered vehicles, which will operate in the state of California, are currently being manufactured at New Flyer’s facility in Anniston, Alabama. The new hydrogen tanks, which rely upon Hexagon’s internally developed technology, will be used to store compressed zero-emission hydrogen gas as an alternative to diesel fuel. The high-pressure tanks have successfully completed requirements for North American and European standards.